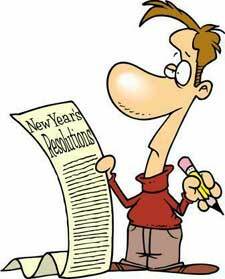 Personal Reflections and Professional Resolutions for a More Positive and Satisfying Professional Experience in 2009…come what may. Ahhhh New Year’s. As John Lennon once sang, “…and what have you done? Another year over and a new one just begun.” What have you done in 2008? What’s happened to you at work this past year? Despite the global and economic uncertainties that have lately consumed our thoughts, some people are sure that their positions remain secure. Others haven’t experienced this amount of worry in a long time. Yet worries don’t help move anything forward. So, as an alternative to worrying about the future of work, perhaps this new year is a good time to try to remember (as the old 1960’s song appealed) what was good about the job, the bosses, the clients, the achievements and the milestones; and remember, too, the impressive people you’ve met or lost along the way this past 12 months. List the people who’ve positively influenced you at work this past year: Who has cheered you on? Shared vital information? Shown you the way? Lent a hand? Made you laugh? Recommended you? Mentored you? Set a superb leadership example for you to emulate? Acted as a workplace touchstone or “safe” person with whom to share your concerns? List every manager you’ve worked for since you started employment fulltime: Identify–whether good or bad–how each boss helped you become the fine professional you are today (remembering that all workplace experiences–even the infuriating and awful–bring you to today; even a terrible leadership example leads the way, by teaching what not to do!). Identify the qualities/traits exemplified by your, “best boss ever”: What was it about that person that made you want to go the extra mile? What can you do in 2009–whether or not you hold a leadership position–to behaviour model your, “best boss ever”, example? Reflect and record all your professional milestones thus far, starting from your first job: Give yourself the opportunity to see just how far you’ve come over the years. Now that you’ve looked back with some fondness and gratefulness at what your workplace experiences have offered in 2008 and prior, spring forward. 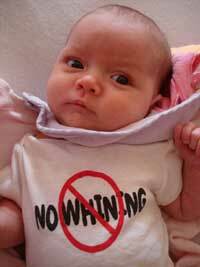 Minimize unproductive whining, bellyaching or complaining: Times are rough enough. Griping doesn’t help. Remember the old Zen philosophy, “What you think about expands”, (to which a dear male friend of mine used to rebut, “That can’t be true because, if it was, I’d have been a girl by 16!”). Still, you get my point. So, do you actually want more of that which you are complaining? If you must whine or bellyache, also bring to the table at least one credible solution for discussion. The best way to get out of a rut, feeling stuck or victimized is to take some a-c-t-i-o-n! Take care of/”watch the back” of those who are part of your inner circle and team: One of my most successful presentation visuals with audiences shows four men in one rowboat. The boat is tipped up–taking on water in the stern/the bottom. The two men in the stern are frantically bailing themselves out, while the other two–at the top/the bow–shout, “We’re sure glad the hole isn’t at our end of the boat!” Commit to better team playing in 2009. Everyone must now, more than ever, pull together or bail together, as the case may be. Otherwise you may all go down, down, down. Read at least one inspirational/motivational book a month: It looks like we’ll need all the inspiration we can muster in 2009. And, of course–shameless self-promoter that I am–may I suggest you start with my own? Visit the info beyond the footer of this article for more information on, Getting Passion Out of Your Profession: How to keep loving your living…come what may. using the person’s name out loud immediately, as you’re introduced, e.g. Nice to meet you, John. commenting on some aspect of the other’s name, e.g. “Is that Catherine with a ‘C’ or a ‘K’? Is that ‘Warren’ as in ‘Buffet’?” “Isn’t it a small world? My daughter is a _______ , too!” Use any tasteful and appropriate comment that helps you recollect that individual’s name 10 minutes later. if the person to whom you’ve just been introduced has the same name as someone already in your circle, burn into your mind the image of these two people, together, so that when next you look at the new acquaintance, you automatically see the image and name of your longtime friend, colleague, family member, etc. shake the other’s hand long enough to see the colour of their eyes and, while doing so, use their name in greeting, “Nice to meet you, _______”. I’ve heard it said–and it definitely works for me–that looking the other in the eye long enough to notice eye-colour, improves the probability of name recollection. 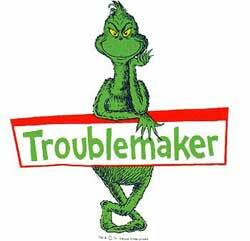 Be a workplace peacemaker in 2009, not troublemaker: Are you notorious for causing a fuss? If so, can you let at least some of those irritations go in 2009? Ask yourself this question next time a “small-potatoes” workplace irritation presents, “Is this issue–about which I’m preparing to make a fuss–a value or a preference?” If the issue about which you wish to stir up “trouble” is just a preference, let it go once in a while. On the other hand, if your reason for causing a fuss is values related, it may well be worth making those troublesome waves. The bottom line is this: commit to doing what you can to create more team harmony, more often, in 2009. Keep a daily professional journal: Even if it’s just a little notepad shoved in your pocket, purse or drawer, and even if it’s just two or three lines… reflect for a mere five minutes at workday’s end on, “What happened to me today that could inform me on how to make tomorrow better for myself and others/for my staff? What good or bad examples of, e.g. leadership, communication, patience, conflict management, service excellence, etc., did I experience or witness today that I’d like to emulate/recreate or avoid tomorrow?” If you know you won’t write a journal, at least commit to earnest daily thought on these questions. Commit to more demonstrations of professional grace: Remember the positive professional value of, “Please” and “Thank-you”. If in a position of leadership, you may find it amazing to see how easily staff will go that desired extra mile based on the fuel of gracious “please” and “thank-yous”. Jobs get done by staff and, as the old saying goes, “You get more flies with honey than vinegar!” If you’re a frontline or independent contributor staff member, your positional power within the organization’s hierarchy is such that expressions of “please” and “thank-you” may help get you what you want, or where you want, faster, too. Regardless of position, a little extra, purposeful grace everyday–especially during rougher, challenging times–can go a long way to creating a workplace of greater peace, harmony and positive business results. Keep the Faith–it helps; stop worrying about so many things–it doesn’t. Here’s why: “There’re only two things to worry about–either you’re well or you’re sick. If you’re well, you’ve nothing to worry about. If you’re sick, you have only two things to worry about–either you’ll get better or you’ll die. If you get better, you’ve nothing to worry about. If you die, there’re only two things to worry about–either you’ll go to heaven or you’ll go to hell. If you go to heaven, you’ve nothing to worry about. If you go to hell, you’ll be so busy meeting all your old work colleagues and friends that you won’t have any time to worry!” So I’m making a little silly and light of workplace worries, here, I know, but, when put this way, doesn’t “future worrying” seem pointless? Something to ponder as 2009 rolls out. May all your problems forget where you live! May 2009 be a terrific year!!! My heart-felt thanks for your continued interest in Working Wisdom these past eight years. And please also remember that I’d be delighted and honoured to be of initial or repeat keynote speaker (or workshop facilitator) service to you and your staff or association members in 2009! Do feel free to give me a call at 416-588-3334 or drop an email, via: Contact Nina…to book my services for your upcoming 2009 event.